Are you ready for Blizzard's next MMO? Their first since 2004's World of Warcraft? Well, tough, Blizzard's not done making it. 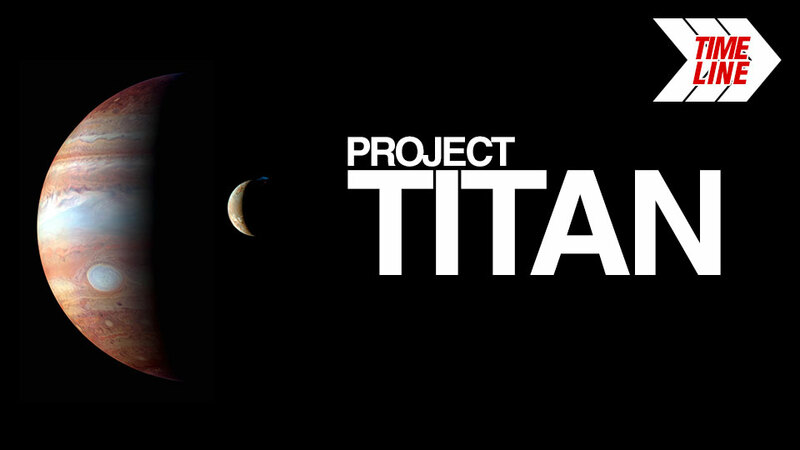 The game is codenamed Titan and has been in development for a long, long time. What kind of game is it? We know it's supposed to have broad appeal. We know that Blizzard has top people working on it. Hey, maybe it's a sci-fi shooter. Who knows! All we've got is the second-ever Kotaku Timeline to show you how the game has been taking shape in the public eye. 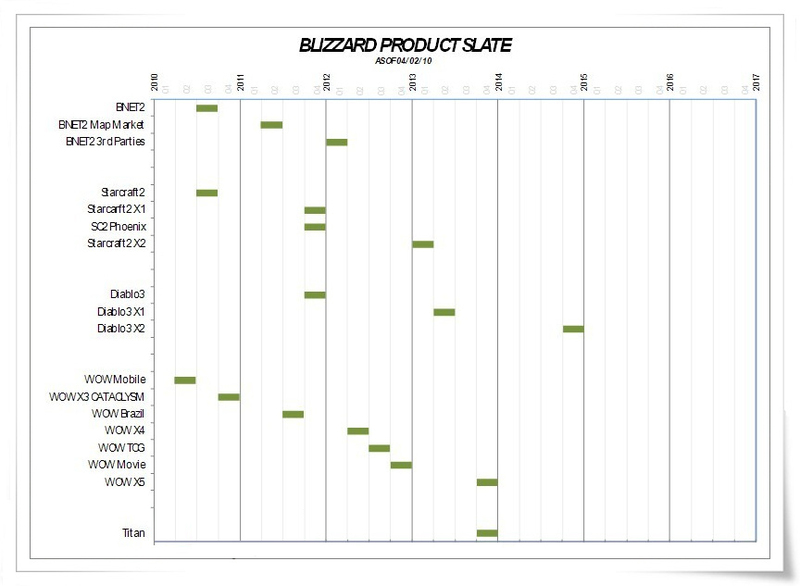 September 23, 2005 — Is Blizzard up to something? Sams: "We very much support our franchises. 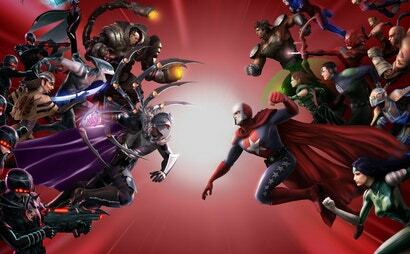 Whether those will go into the MMOG arena, I'm not willing to say." In an interview with CNN, Paul Sams, VP for business operations at Blizzard, mentions that the company may or may not be working on new MMO titles — possibly foreshadowing Titan. With Blizzcon only a month away and plans to announce an expansion pack for World of Warcraft documented, what other tricks could Blizzard possibly have up their sleeve? Chris Morris, Game Over's excellent scribe at CNN/Money gushed about WoW's success earlier this month. A telling quote by vice president of business operations Paul Sams hinted at what could be next for the developer, "When you look at our history you'll find we very much support our franchises. Whether those will go into the MMOG arena, I'm not willing to say. But WoW has been going very nice for us, so we would be crazy to not be considering that." Alright sleuths, get digging. That quote points to another Blizzard franchise heading to the MMO world sooner or later, so what will it be? And more importantly when, sooner, or later? Here's hoping Starcraft heads to the MMO realm next and that Blizzard is going to announce it at Blizzcon. Wild speculation? Sure. But since I can't figure out the Origen puzzle, I need something to throw ideas at. IGN talks to Blizzard's Paul Sams, who mentions Blizzard working on three titles — what could they be? Warcraft? Starcraft? Diablo? Or perhaps something completely different? Blizzard will be making a "major product announcement" in 2007, according to an IGN interview with the developers' COO. Paul Sams told IGN that Blizzard was currently working on at least three other unannounced titles at the moment and, just to rub it in, dropped StarCraft's name. I'm not sure which I want to see more: StarCraft 2 or Diablo 3. Blizzard updates their job openings page, with positions pertaining to a next-gen MMO — Kotaku wonders if this is about WoW, or something else entirely. A sharp-eyed reader points out that Blizzard added three new positions on their job openings page yesterday for a "next-gen MMO." The company is looking for a lead engine programmer, lead tools programmer and lead technical artist. While the reader theorizes that this is for a console port of World of Warcraft, my money is on World of Starcraft or something like it. 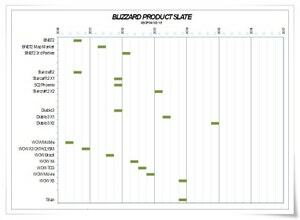 Remember, yesterday was also when Blizzard told us that they intend to announce a new product at the Worldwide Invitational in Korea on May 19. They also said they do plan to revisit the StarCraft universe at some point in the future. What do you think? A new World of Warcraft, a Starcraft MMO, oooh, maybe Lost Vikings the MMO? Kaplan: "Obviously as a company we'd be very interested in further exploring the MMO space." CVG talks to WoW lead developer Jeffrey Kaplan (aka Tigole) who confirms that yes, Blizzard is definitely doing another MMO. As far was working on another MMO project or a WoW 2, obviously as a company we'd be very interested in further exploring the MMO space. Gasp. Something that has proven very profitable, and Blizzard wants to further explore it? Kaplan also adds that Blizzard doesn't have "anything official" to add and that the developer is "definitely looking towards the future as well." Yes, the future! 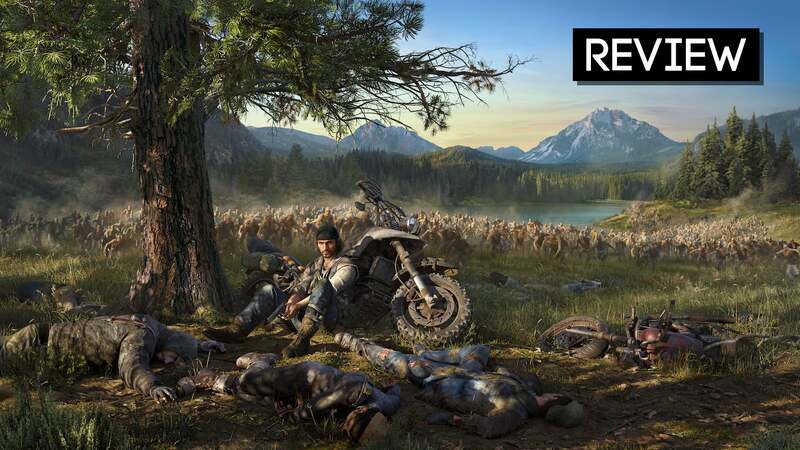 Drysc: "It is an unannounced Next-Gen MMO." Blizzard staffer Drysc (nowadays known as Bashiok) reveals that the new MMO project is not related to WoW, but refuses to say anything else. Back in April we reported on Blizzard's jobs site listing positions opening for a "next-gen MMO", which of course led to wild shouts of "World of Starcraft! ", "World of Diablo! ", and my personal favorite, "World of Lost Vikings!, while some speculated that the job listings were simply for work on a World of Warcraft expansion. The issue was brought up in the WoW forums earlier this month, which garnered the highly-revered blue response! And that doesn't mean an expansion for World of Warcraft either. For those of you with lives, the blue post on the WoW forums is the color of Blizzard staffers—in this case Drysc—and considered sacrosanct by the WoW community. While we still don't know exactly what it is, we at least know what it's not. Jeff Kaplan, at Blizzcon '08, reveals that he's involved in the new MMO's development as well. 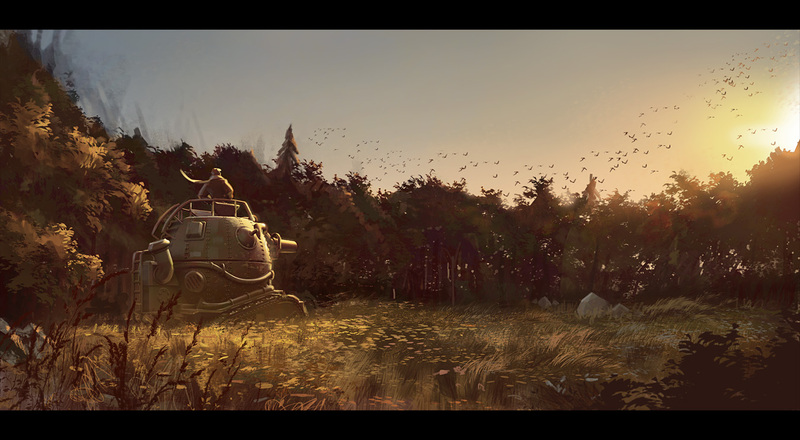 Morhaime: "We're trying to create a different massively multiplayer experience." In an interview with Wired, Blizzard CEO Mike Morhaime talks a little bit about the new project — although he doesn't want to reveal too much. November 13 — Here's some more vague adjectives to describe the game! VG247 interviews Blizzard COO Paul Sams about the upcoming MMO. 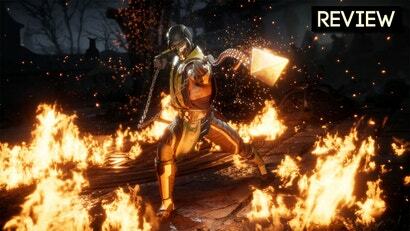 He promises the game will be "cool, new, different, [and] next generation." Jeff Kaplan announces that he is going to work on the new MMO full-time, leaving WoW behind. Zarhym: "It'll be a brand new franchise, which means the lore, art and gameplay are being developed entirely from scratch." During a Q&A session with WoWBlues.com, WoW community manager Zarhym mentions a few things about the new MMO. Gamespot talks to Activison-Blizzard CEO Bobby Kotick, who drops the morsel that the game will have a broader appeal than the likes of StarCraft and Diablo, whatever that means. Guess it's a shooter, right? During a Blizzcon '10 interview, Rob Pardo, executive vice president of game design, says (among a few other things) that Blizzard's not planning an announcement related to their new project for at least another year. Destructoid talks to WoW executive producer Frank Pearce, who reveals that they've let the world know about the project only for recruitment purposes. Ars Technica grabs hold of CEO Mike Morhaime, and manage to wring a few bits of Titan-related info out of him. For example: "We're not trying to make a WoW sequel." Spill, man, spill! Sams: "We're very confident in that product. It's an awesome one, we're playing it already." Blizzard COO Paul Sams tells Gamasutra that they're already enjoying the heck out of Titan. Gamasutra talks to an industry analyst who believes that Blizzard might have its sights on winning over the casual crowd with Titan. A Blizzard representative tells IGN that, disappointingly, Titan still won't make its debut at Blizzcon '11. November 8 — Has Titan's level designer been laid off? Massively reports that, according to an anonymous tipster, senior Titan designer John Staats no longer works at Blizzard. Over 600 Blizzard employees are laid off. This supposedly doesn't affect their upcoming titles (including Titan), as the majority of the employees were in departments not related to game development. Kotaku takes a look at Blizzard senior artist Nick Carver's work, who is currently working on Titan, among other projects. Pardo: "We are definitely in the middle of development at this point." Blizzard's VP of game design Rob Pardo reveals to PC Gamer that Titan's development is already in full swing, with over a hundred people actively working on the project. How long will it take for people to start bitching about this game being always online? Better get used to that fact, in a few years 'every' game will require being online. Welcome to the future. It's an mmo, silly person. I think there are so many MMO's on the market cause they've got a "universal" appeal. 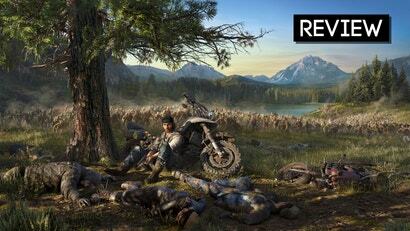 Is that an official promo shot or a Kotaku throw-together? Because Titan is one of Saturn's moons, not Jupiter's. I noticed that too. Was somewhat disappointed. So now that you've given us a timeline on Titan which at this rate won't be out til 2020, what's going on with Agent from Rockstar games???? I'm confused by the picture though... Titan is a moon of Saturn, not Jupiter. Picture made from perspective of Saturn?